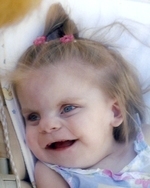 Berlin – Olivia Marie McGowan, 8, died Tuesday Aug. 23, 2011 at Clinton Hospital. Born in Boston, she was the beloved daughter of Maj. Richard K. McGowan, U.S. Army and Sharon D. (Comeau) McGowan. Olivia loved listening to music and having stories read to her. She also took pleasure in watching the popular cartoon show “Olivia,” going outdoors, butterflies and cuddling with Mommy and Daddy. Besides her parents, she leaves her two grandmothers, Donna M. Comeau of Marlborough and Joyce McGowan of Ramsey , N.J.; three uncles, David E. Comeau of Worcester, Ronald McGowan of Centreville, Md., and Jeffrey McGowan of Albuquerque, N.M.; two aunts, Lynn Comeau of Marlborough and Janel Miller and her husband Jason of Gilsum, N.H.; and many cousins. She will be dearly missed. Olivia&apos;s family would like to thank all of her caregivers throughout her life and the compassion they showed her. A funeral service will be held Friday Aug. 26, at 11 a.m., at the Fitzgerald & Collins Funeral Home, 378 Lincoln St., Marlborough, followed by burial at Forestvale Cemetery in Hudson. Calling hours will be held Thursday August 25, from 4 to 8 p.m., at the funeral home. In lieu of flowers, memorial donations may be made to the Boston Children&apos;s Hospital, 300 Longwood Ave., Boston, 02115 or to the charity of the donor&apos;s choosing. 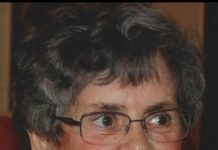 All are invited to sign Olivia&apos;s online guestbook at www.CollinsFuneral.com.